Anthony Miller filed this request with the City Clerk of Redwood City of Redwood, CA. The Redwood City receives requests for building permits. 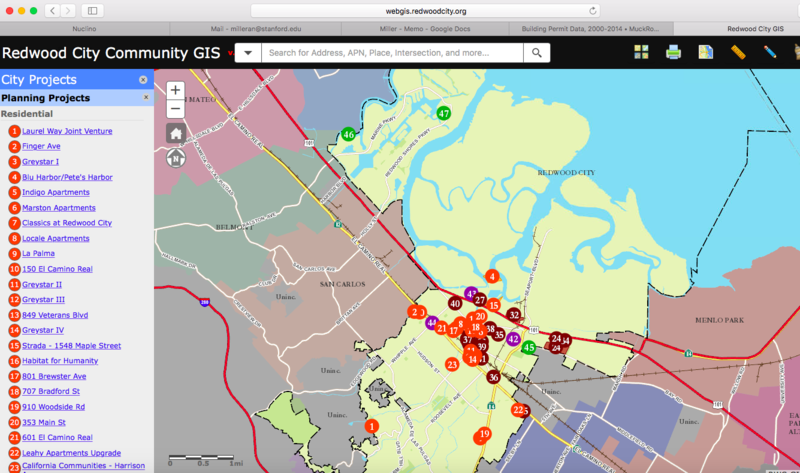 The city allows current planning projects to be viewed on a map via https://paloalto.buildingeye.com/planning. However, I would like the spreadsheet/data of applications for building permits the city has received for the years 2000-2018. I wanted to follow up on the following California Public Records Act request, copied below, and originally submitted on Jan. 19, 2018. Please let me know when I can expect to receive a response, or if further clarification is needed.